Brought to you by Power Access, Inc.
Start your new year with music and a cause at the third annual South Beach Jazz Festival Friday, Jan. 4, through Sunday, Jan. 6. This exciting three-day event has an important purpose for founder David New, as well as all the performers. New is a person with special needs. He was left blind and deaf after a rare illness 17 years ago and was paralyzed from the waist down. Through sheer persistence, and defying the odds, he was able to regain his ability to walk and his hearing, but not his sight. He created the jazz festival to help his foundation, Power Access, raise awareness about the abilities of people with disabilities. 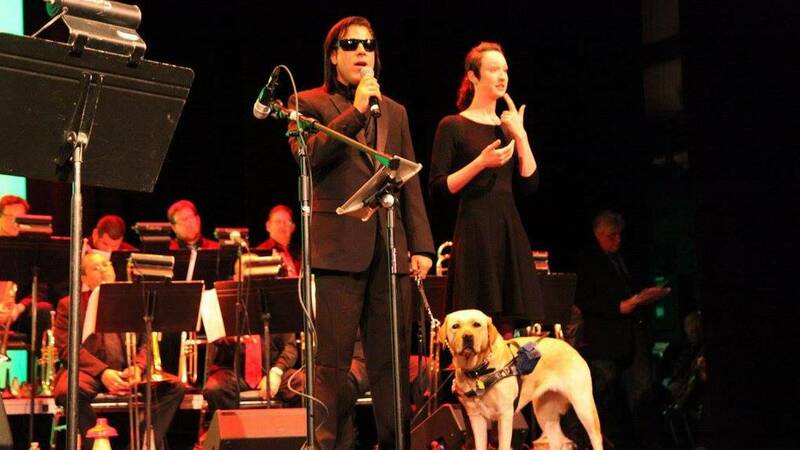 Each of the artists performing also is connected in some way to a person with a disability. “I moved to Miami Beach and became involved with the disability community and found that there was a greater need for understanding, tolerance and awareness of people living with disabilities,” New said. The three ticketed performances, and the seven free performances, will feature award winning artists including Dee Dee Bridgewater, Marcus Roberts, Nestor Torres, Brian Lynch, Nicole Yarling, Jonathan Joseph, Bobby Thomas, Maria Rivas, Leesa Richards, and Alex Weitz. “Disabilities are such a challenge and struggle for so many people and I wanted for people to know that from those challenges beautiful music and talented individuals could evolve, bringing inspiration and enjoyment to others,” he said. A great deal of his success he attributes to his beloved service dog, Lola. “It’s the perfect place to bring this kind of world-class event to the people,” he said. In its short history, the South Beach Jazz Festival has become a recognized national event. It also attracts audiences from around the world, organizers said. Production for the festival is Miami based KCC Productions. The festival’s ticketed events will be held at Miami Beach’s iconic theaters and venues including the Colony Theatre and the Miami Beach Community Church. Free performances will take place on stages at Euclid Circle and 1111 Lincoln Rd. New said he wants audiences to enjoy the concerts and also take from them one simple message. Prices for the ticketed events range from $40 – $65. To buy tickets and learn about the free concerts, go to www.sobejazz.com or call 786-607 JAZZ (5299). Want to volunteer? Need more info on sponsorships? Whatever the reason, we want to hear from you.